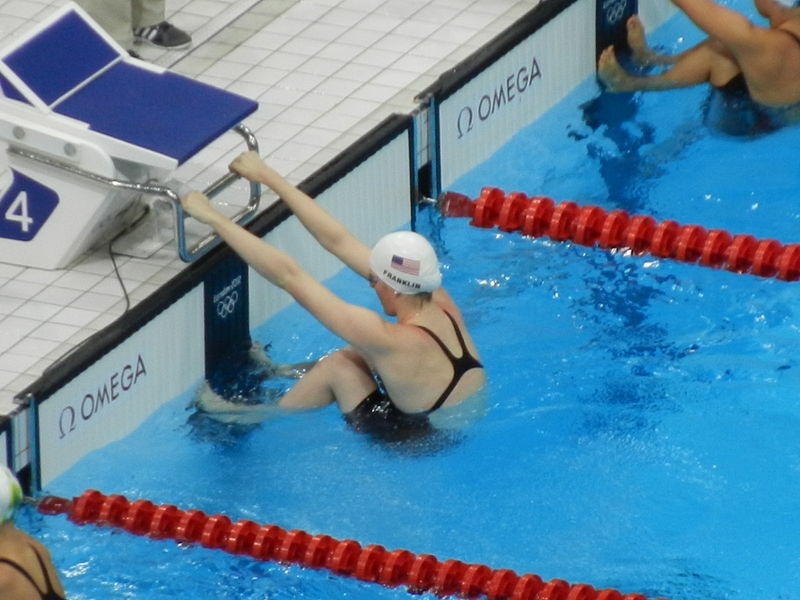 Missy Franklin is not only the world’s best female swimmer. She is also modest. In your college essays, take a page from her book with regard to modesty (photo credit: Madchester). Many people believe that college essays are a forum to boast about accomplishments. They believe that college essays are the unique component of college admissions where they can sell themselves. And they’re not wrong about college essays being a forum to sell themselves. It certainly is a sales tool. But how you approach that sales tool makes all the difference in the world! Boasting about accomplishments in college essays is absolutely, positively the wrong approach. That’s a surefire way to alienate college admissions counselors who otherwise may have gone to bat for you. Just think about it. Do you like people who talk about all that they’ve accomplished all the time? Of course not! If you need a lesson on modesty, watch the Olympics. Missy Franklin, the star American swimmer and Colorado native, is a high schooler who understands that modesty wins hearts. She doesn’t boast about winning the gold. She talks about her teammates. She talks about her fantastic competitors. She is, in no uncertain terms, a class act. While Missy Franklin can most certainly attend any university in the nation that she wants (we bet she ends up at Berkeley or USC), her modesty and kindness make her the star of these Olympic games as much as her athletic feats. Take a page from Missy Franklin in your college essays. Don’t boast. Don’t brag. Don’t list off your accolades. The college essay is neither the time nor the place for that. The college essay is a sales tool — but not in the way that many people think. Most people, as it turns out, are just bad salesmen. And, yes, this is where we at Ivy Coach come in. We can help you put yourself in the best possible light to college admissions counselors. It’s what we do best.